The Ready Rig GS was built with gimbal operators in mind, taking the strain off of your arms and shoulders, all while maintaing the full operating range of the gimbal! You can easily adjust the tension of each arm on the fly making adjustments even easier. 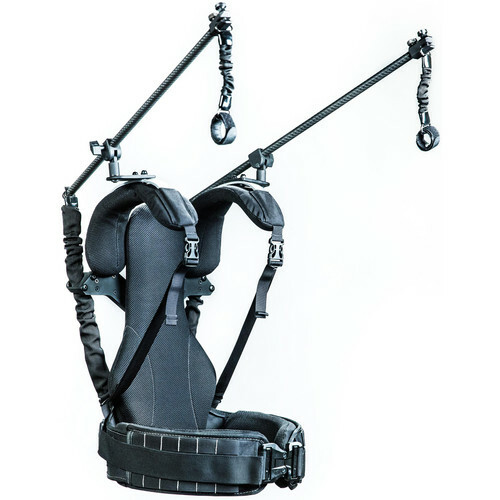 With a large 30 lb max load the Ready Rig GS will support even the bulkiest of gimbal setups. The Ready rig GS even breaks down for compact storage and travel! If you are planing long gimbal shots, or are using a gimbal for a live event then the Ready Rig GS is for you!